Cyprus got its investment credit worthiness back on Friday as Standard & Poor’s raised the country’s credit rating from BB+ to BBB- with a stable outlook, five years after the financial collapse. 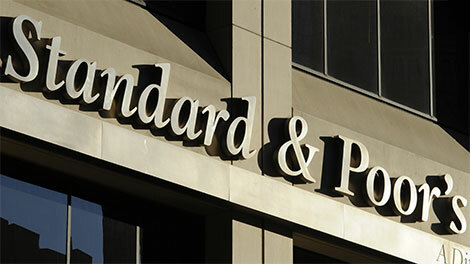 ON FRIDAY Standard & Poor’s Global Ratings raised its long- and short-term foreign and local currency sovereign credit ratings on Cyprus to ‘BBB-/A-3’ from ‘BB+/B’ with a stable outlook. The Cypriot economy will continue to grow at a solid pace through 2021, our forecast horizon, enabling the government to alleviate its debt burden. Measures by Cypriot policymakers to markedly reduce the stock of nonperforming assets in the banking system via financial support and legislative changes have improved the sector’s health and are likely to facilitate further recovery efforts. Any additional financial state support to the banking sector will only moderately affect the sovereign balance sheet. The ratings are also supported by policymakers’ efforts to consolidate public finances and restore the health of the banking sector. In 2018, the government injected about 15% of GDP into the country’s second-largest bank, the majority state-owned Cyprus Co-operative Bank (CCB), to strengthen its balance sheet and carve out its nonperforming assets into a residual entity. This will significantly reduce the banking sector’s non-performing exposures (NPEs) to an estimated one-third of total loans from one-half before. We also expect that various other legislative changes will support Cypriot banks’ efforts to further reduce bad assets over the medium term. We assume additional support to the banking sector via the government’s balance sheet from now through 2021 will be moderate. In its announcement S&P warned that vulnerabilities still persist from high levels of private sector debt. Despite recent developments, the banking sector’s stock of NPEs remains large and its ability to attract financing at reasonable costs is likely to remain challenged for a while. Nevertheless, we expect that the underlying recovery will support the sector’s efforts to strengthen. The Cypriot private sector balance sheet is among the most indebted in Europe, at about 240% of GDP (at end-2017; not including special purpose entities). Despite solid economic growth, private sector debt is likely to remain high over the medium term, although tapering slowly via repayments–currently financed by savings, restructuring, ongoing write-offs, and debt-for-asset swaps with banks. S&P also notes that the increasing concentration of the economy in tourism and construction activities presents another potential risk. The Angela Merkel gravy train, the main reason why I rounded up my nurses, doctors, developers, well criminals regarded barristers from my London Chancery, to gang up and fight the Greek Cypriots in the world court. Although this feature is not about the UK bailout, one might wonder how, as the editor has pointed out, the government was able to report that the UK banks had ‘paid back’ virtually all of the bailout support given to them after the 2008 crisis. I am not sure that they did. Quantitative easing of around 500bn and associated monetary policy provided the banks with a massive boost in their asset values. The policy enabled the banks to borrow at virtually zero cost and recapitalise themselves through lending at record margins. This has been achieved at the expense of the bank depositors (savers) and taxpayers. That’s why government debt is over 80% of GDP; it was half that before 2008. Support of a different kind was given to the banks enabling the other provisions to be largely swept away. Back in Cyprus the government must look to the ECB to support the Euro based banking system as it cannot undertake QE itself. Ed: The UK Govt supported the banks by buying their shares. As the performance of the banks improved and their share price recovered the UK Govt sold the shares. There’s still some way to go. Ten years ago the UK government pledged a similar proportion of the county’s GDP to bail out virtually the ENTIRE banking system. I don’t think S&P’s downgraded the county’s sovereign credit rating then, but, certainly they did not raise it. Ed: A year ago the UK Government had recovered all but 5 per cent, £58 billion, of the £1.2 trillion bailout that it provided the banks with during the credit crunch and recession. To get back to a stable economy we need a few more lemmings to go over the cliff to join the flying lemming and the usual suspects piggy bank. I suggest the EAC/AIK followed by Cyta then the Banks and the estate agents cartel.